Dr. Kiara Eily is board certified by the American Board of Anti-Aging and Regenerative Medicine. She is an Advanced Fellow of the Metabolic Medical Institute. She also received her brain fitness certification from the A-4M. Dr. Eily specializes in brain health, including autism and Alzheimer’s disease. There have been significant advances in both traditional and functional medicine since Dr Eily completed her medical training in the early 1990’s. She can now combine her love of neurology with the gratification of obtaining better patient outcomes. Dr. Eily received an undergraduate degree from Duke University and a medical degree from Wake Forest University. She specialized in Emergency Medicine, an environment where she could provide a broad scope of care and watch patients recover. She completed Emergency Medicine training at East Carolina University/Pitt Memorial in 1994. 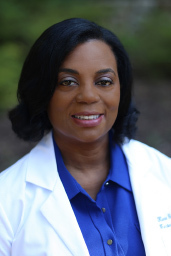 As a Board-certified Emergency Medicine physician, she provided care at Durham Regional (now Duke Regional) Hospital for almost 15 years. Most recently, she was employed by two Medaccess urgent care centers, one in Roxboro and a second in Youngsville, NC. Both centers are certified by the Urgent Care Association of America. In addition to her A-4M Metabolic Medicine and Brain Health Certification, Dr. Eily holds membership and training from the Academy of Environmental Medicine, ILADS/International Lyme and Associated Diseases Society, Klinghardt Academy, Medical Academy of Pediatric Special Needs/MAPS, and the North Carolina Integrative Medicine Society/NCIMS. She is also board certified in Integrative Pediatrics by the American Association of Integrative Medicine.